Traveling itself is a brilliant thing to do as it expands our horizons and makes us understand the true meaning of living. But when you decide to travel alone, you will get the chance to explore yourself besides exploring other things around you. Traveling alone has a lot of perks, and it can even change the way you view life. Though it is often considered as lonely and unsafe, there are several other advantages of traveling alone, and we have listed down some of the top perks of traveling alone. Traveling alone gives you the freedom to do anything you want. You don’t have to consider the opinion of the people who are traveling with you or adjust your plans based on others needs. Traveling alone lets you spend time at the place you love the most, and you don’t have to compromise with anyone. If you have traveled with your friends, you would have had so much fun and would have explored many things together, but you wouldn’t have gone out of your comfort zone to talk to the locals out there. 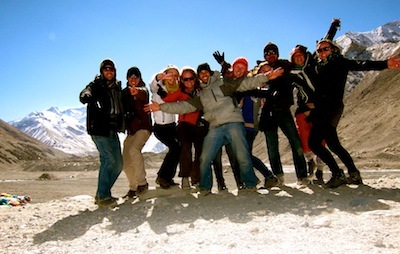 When we travel as a group, we tend to stick to that group and hardly mingle with other travelers or localities. But when we travel alone, we don’t hesitate to interact with other tourists and the localities. Such interactions will make you very confident and also help you make new friends. When you travel alone, you don’t have to worry about the budgets of the other people. When you travel in a group, you will be worried about how much to spend on food, hotels and other things. But when you travel alone, you can avoid many awkward situations. If you ever feel that you are stressed in life or if you are confused on what to do with your life, you need to take time off your daily schedule and go on a trip all by yourself. When you go on a trip all by yourself, you will get so much time to ponder upon your life, and you will also be able to reflect on yourself. Meeting new people and going to new places will make your mind very fresh and you will be able to think clearly. When you travel alone, you will be able to discover your hidden talents and characters. When you travel alone, you are out on your own. There is no one to guide you or tell you what to do, and you will have to figure out everything out on your own. When you do such things, you will be more independent and learn many things. Even after coming back from the trip you will have the confidence to do many things.